You can preview the scanned files. 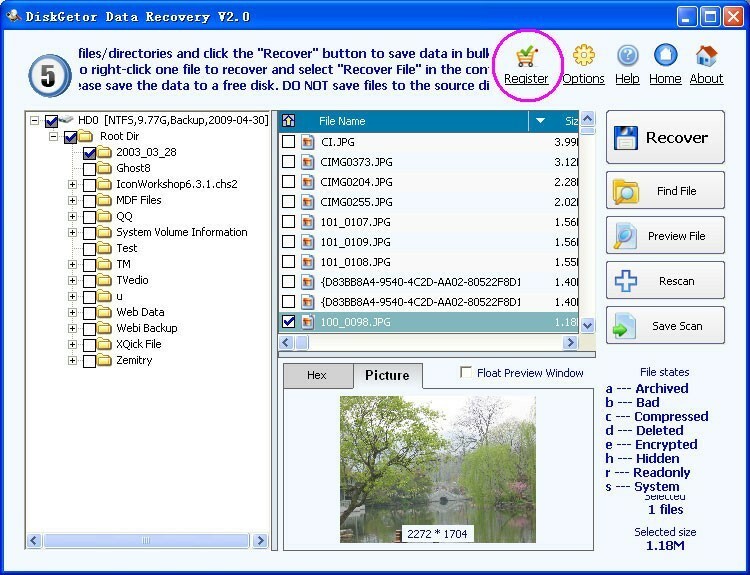 The picture or Word or Excel files can be preview data before recovering. The registration code will be sent your EMail afterthe order is finished. 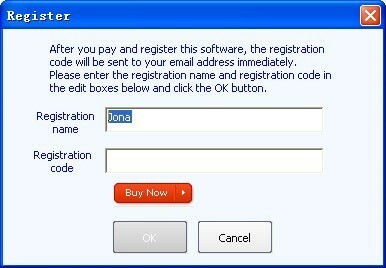 1, Click the "Register" button and input your registration name and registration code. Note, Input the registrion name or a part of the registrion name or the extended name. 2, After register correctly, the "Registered" button is grayed and you can recover data to another free disk.